The Alaska Board of Game will hear proposals to restore a no-kill zone for wolves around Denali National Park and Preserve for the first time in more than six years. The board will hear two proposals — one from the National Park Service and the other from the Denali Park-based Denali Citizens Council and the Alaska Wildlife Alliance — for buffers on state lands north and east of the park to protect wolves from hunting and trapping, at a weeklong meeting in Fairbanks that starts Friday. Alaska Gov. Bill Walker in January filed a lawsuit challenging the authority of the Park Service, as well as the U.S. Fish and Wildlife Service, to ban certain practices such as hunting methods on national wildlife refuges and preserves, and some predator control. Game board chairman Ted Spraker said he expects the lawsuit to complicate the state's wolf-buffer decision in Fairbanks. "I think that all those issues right now are going to be fleshed out at this meeting and discussed," Spraker said. "It's not going to be used as some sort of bargaining chip … but times have changed." 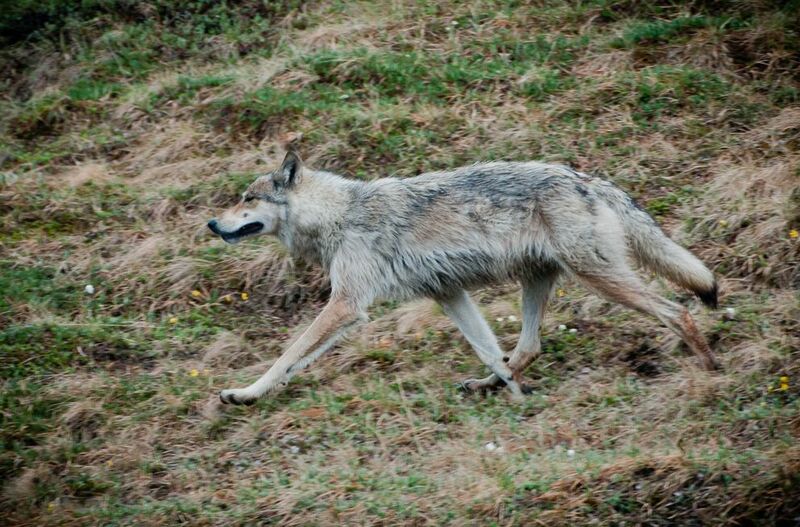 A Park Service study last year linked the presence of a buffer to more wolf sightings for Denali visitors, though dens near the park road are a bigger factor, park officials say. 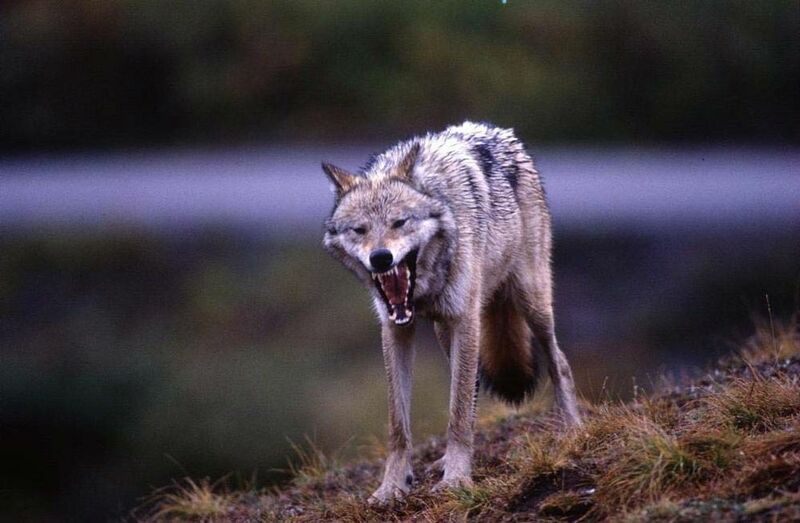 Critics say prey availability and other factors influence wolves more than the buffer does. More than 400,000 people visit the park, while the number of trappers active in the Stampede Corridor area eyed for the buffer is between one and three in any given year, according to the Park Service proposal. 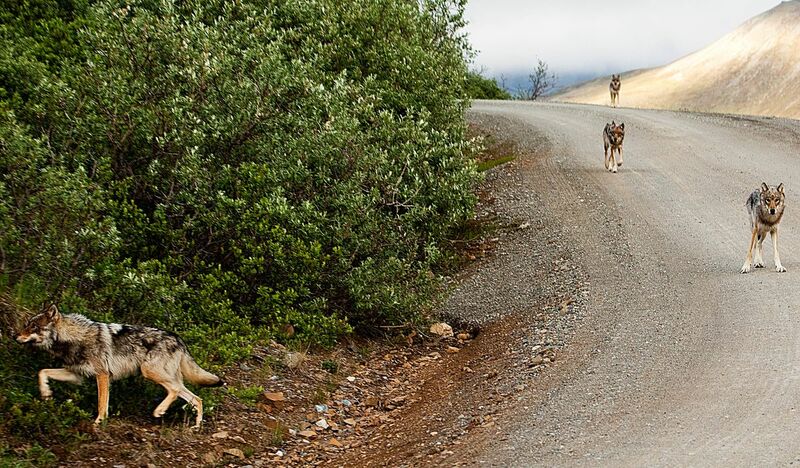 The likelihood that a visitor would see wolves along the park road was 5 percent in 2015 compared to 45 percent in 2010, according to the Denali Citizens Council proposal. Four to six wolves are killed a year in the area, and five eastern park packs are estimated at 27 animals. Given the numbers involved, is this years-long and bitter fight worth it? "The simple answer is no," said Spraker when asked that question. "But it gets more complicated than that." Spraker said the state's lawsuit marks only the most recent skirmish in decades of accusations of federal overreach, beginning with the establishment of 43 million acres of new parks, refuges and other federal holdings under the Alaska National Interest Lands Conservation Act and evolving into battles over subsistence fishing and hunting. "That's why I cautiously said, with all the angst between the state and the federal guys right now, it's a bad time for the state to give in to the federal request," he said, adding that he still supports a land exchange between the governments. The game board last approved a wolf buffer in 2002. Spraker voted in favor after he joined the board in 2003. He also voted in favor in 2010 but was on the losing side and the buffer was allowed to sunset. The board declared a five-year moratorium on proposals that year. The proposals are coming back up after a longer period because of changes to the board's meeting cycle. Several other things have changed since 2010: Along with the 2016 Park Service study, the last collared wolf in the park's storied East Fork pack was killed by a hunter last year on a bear bait pile. The year before, hunters killed two wolves including a pregnant female. The game board last year scaled back the bear hunting season to avoid wolves being killed by hunters. Now the Park Service is asking for a 150-square-mile closed area but only for part of the year: Wolf hunting would remain open from August through January and wolf trapping from November through January. The February-April closure protects wolves during the breeding season, according to the Park Service proposal. No one disagrees with the fact that the packs that are near the park road in summer go into the buffer in winter, said Dave Schirokauer, the park's science and resources team leader. It's the game board's job to "do the decision on the allocation of harvest versus viewing," Schirokauer said. "We have different goals," he continued. "The Board of Game has a goal to provide hunting and harvest opportunities and the Park Service has a goal to provide viewing opportunities. We're asking the board and the state to maybe do something that may be contrary to their goals." The Denali Citizens Council and the Alaska Wildlife Alliance want the board to adopt a year-round closure that covers a broader area that includes Nenana Canyon. Nancy Bale of the Denali Citizens Council said the council doesn't like the "buffer" language because "it seems to put the responsibility for these zones on the federal government. Like it's a buffer for the park." Instead, the council and alliance want the state to "embrace this as something good for them and not just look upon it as a little gift to the feds," she said. The two buffer proposals have already garnered more than 240 comment letters from Alaskans as well as Lower 48 residents. "My daughter saw Denali wolves several years ago," one Colorado resident wrote. "I would go to Alaska to see them also, but I would not travel so far for any other reason."